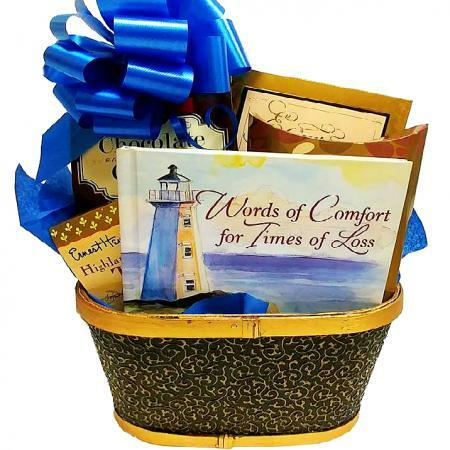 Bring hope to the heart and strength to the soul with this comforting sympathy gift to help them make it through tough times. 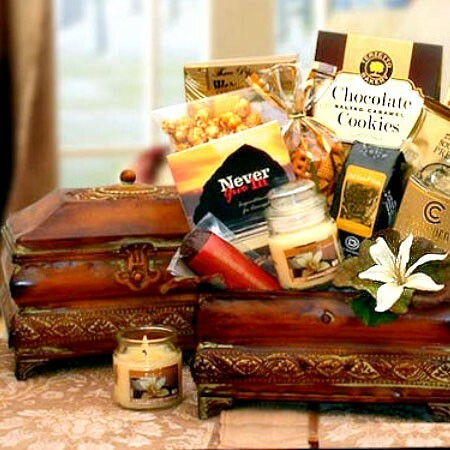 They will be touched and impressed by your thoughtful presentation. 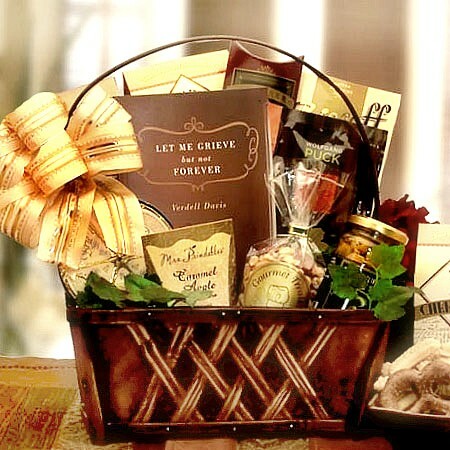 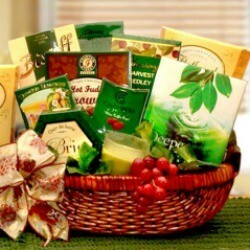 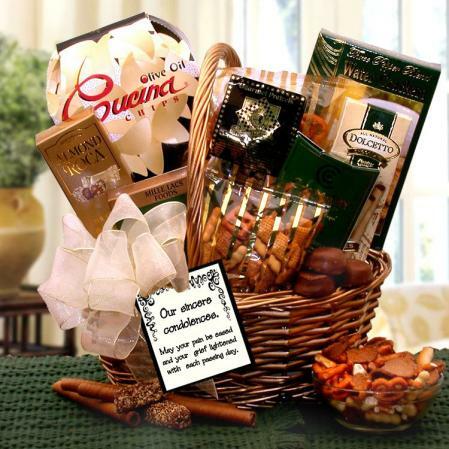 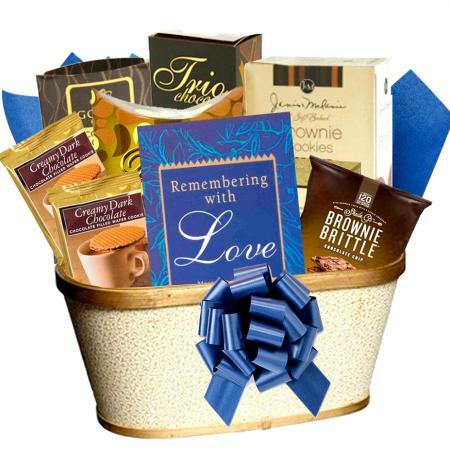 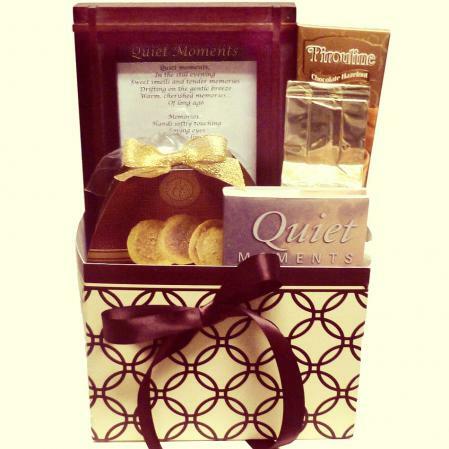 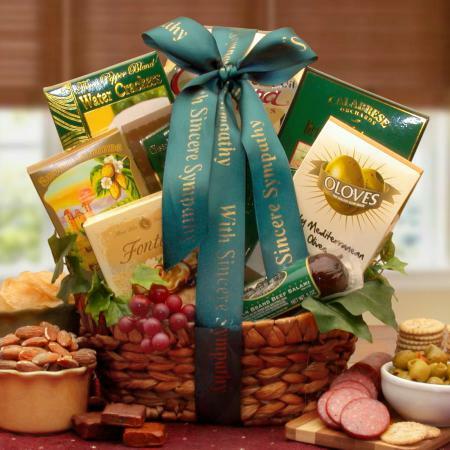 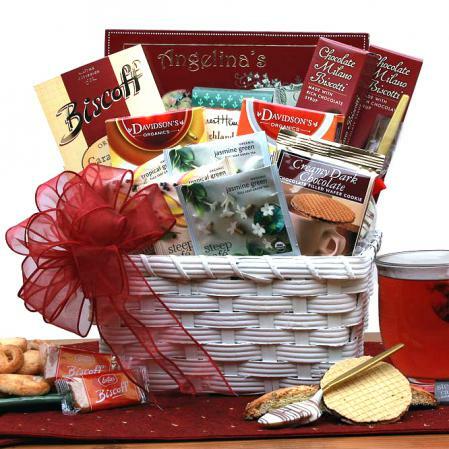 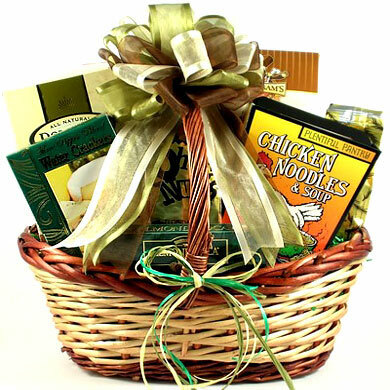 Comfort friends and family by sending the Loving Memory Sympathy Gift Basket. 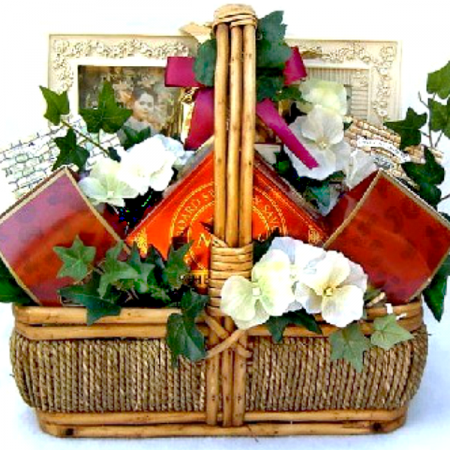 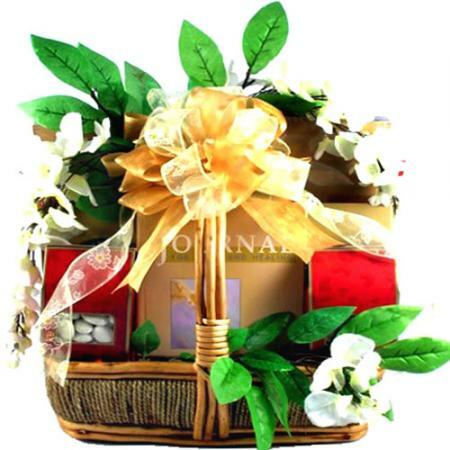 This gift basket is lovingly arranged in a natural seagrass woven basket adorned with faux grapes and leaves, wrapped in cellophane, and topped by a hand-tied "With Sincere Sympathy" bow. 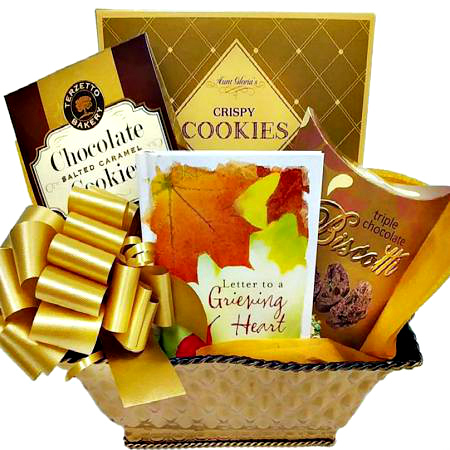 It comes overflowing with a variety of sweet and savory treats.